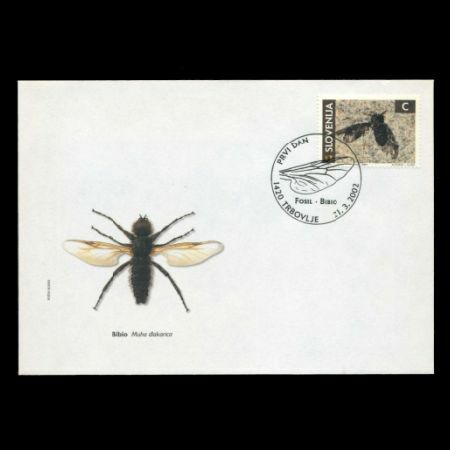 Slovenia 2002 "Fossils (Fossil Insect from the Oligocene"
Hairfly (Bibio): Insect remains are preserved only under exceptional circumstances in an environment with no air present because their exoskeleton (a hard outer casing) usually decomposes immediately after death. 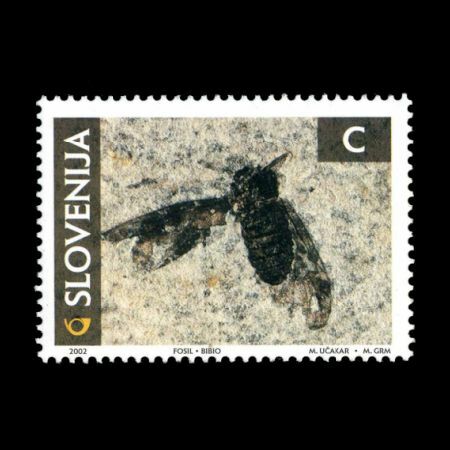 That is why every new discovery of a fossil insect in Slovenia is a special experience. 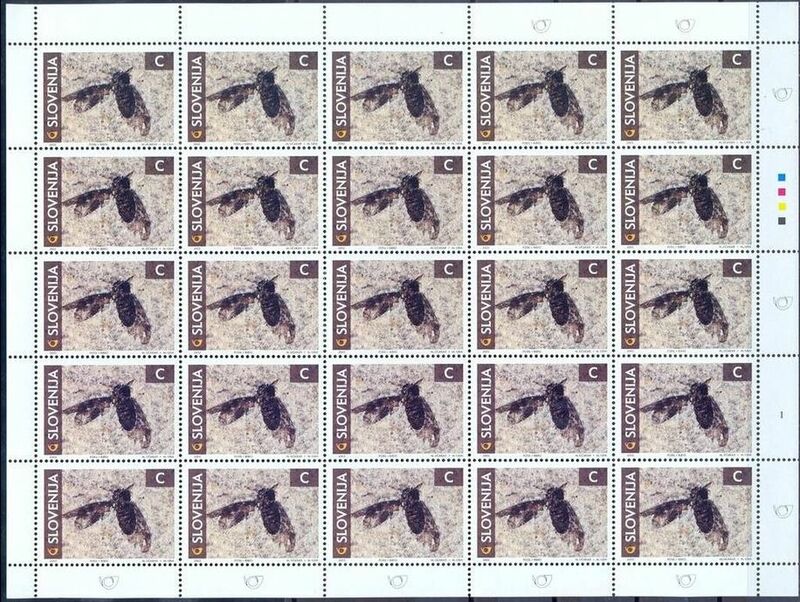 The fossil insect depicted on the stamp was discovered together with other fossils in grey marl slabs in the Zasavje region and it belongs to the Diptera. The body is relatively well preserved. One can see the thorax and head, the shape of which is not very clearly recognisable. Also preserved is the front right leg. Veins in the wings are clear, even though the wings are a little damaged. Hairfly (Bibio) is an aquatic Diptera. It ended up in the mud with little oxygen, which prevented effective bacterial decay and promoted fossil preservation. Aquatic insects served as the most important additional food for fish and are therefore their fossil remains are frequently found in these layers. 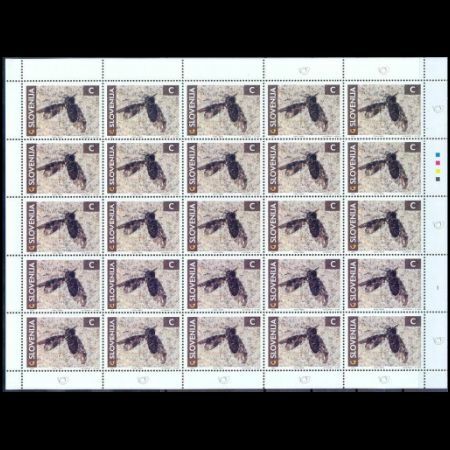 The fossil depicted on the stamp forms a part of the Private Paleontological collection Matija Križnar in Škofja Loka.